Christer Magnusson has lived in Iceland for many years, but attended the Iceland Writers Retreat for the first time this year. This is his story. DIYMFA published a list of five reasons to attend the Iceland Writers Retreat, by 2017 participant Sara Letourneau. “I came home from this trip inspired, clear-headed, and ready to return to writing after a month where my confidence in my craft had pretty much shattered. And for that, I am profoundly grateful for the IWR experience,” she writes. The Iceland Writers Retreat asked several Icelandic authors to describe what an average day of writing looks like for them. In this piece, Oddný Eir Ævarsdóttir gives us an account of her fascinating creative process. This day is the day. I make abstract structures with elements that I smell in the morning: symbols, colors, sounds. Inside this structureless structure I dwell and write: There I’m covered by pure passion and joy, and I write like an animal until exhaustion. I leave and come back, leave again and come back. During the day. And the night. Sometimes I don’t even dress. For the reasons of health some days I slip into this dangerous zone only once. I jump in, write fast and pray to the unconscious that the phrases will be finished. The intervals are not to be judged as idle. During walks and talks and readings of poetry, listening to music, checking out the history of symbols and words, I make a negative space for my writing. But if there is anxiety, I invent a ritual of exorcism, and I’ll have to contemplate on the golden ratio in some classics, my chore. Nurtured by tradition, I allow my writing days to be rhythmically different one from the other. But in this endless construction and deconstruction of time and space there should not be threat of authority or power. Just an out-of-the-blue in a play. Activist and author Oddný Eir Ævarsdóttir is a powerful, poetic voice on the Icelandic literary scene. She has written lyrics for Icelandic popstar Björk, and her novel Jarðnæði(Plan of Ruins) was nominated for the 2011 Icelandic Literature Prize and the Icelandic Women’s Literature Prize. Her recently-published short story “The Blue Blood” was translated into English by Philip Roughton and is available for download on amazon.com. Before she was awarded a 1992 Pulitzer Prize for her iconic novel A Thousand Acres, American author Jane Smiley won a 1976 Fulbright Research Grant to study in Iceland for a year—an adventure that has been a consistent source of inspiration for her throughout her prodigious literary career. Smiley recounts her time as a young student in Reykjavík with the Iceland Writers Retreat in this piece and describes both her upcoming toddlers’ book and her ambitious new trilogy about the past 100 years of American life and human civilization. Interview by Elliott Brandsma. Photo by Mike McGregor/The Guardian. Jane, take us back to your time as an exchange student in Iceland. What initially drew you to the country, and what projects did you work on while you were here? In graduate school, I studied Old Norse, Old English, Gothic, and Old High German. I loved the sagas, and I took Old Norse for four or five semesters. One year we read all of Njál’s Saga, so when I was thinking about studying abroad, Iceland was the only destination I had in mind. I wanted to learn modern Icelandic and improve my reading skills in Old Icelandic. I was not quite prepared for the climate or the landscape, but I enjoyed myself a great deal. The landscape seemed very exotic to me, and I enjoyed taking walks. I also enjoyed the historic sites we students were taken to visit out in the countryside. Toward the end of my stay, I got to be friends with a man who owned a car and was a hiker. He took me to visit some great scenery, and also on a horse ride. My real difficulty came from the length of darkness as the Winter Solstice approached. I had a very hard time waking up in the dark and my biological clock got out of kilter so that I stayed up writing much later than I would have at home in the states. I loved the swimming pool that was not far from Háskóli Íslands (the University of Iceland), especially the hot pools. 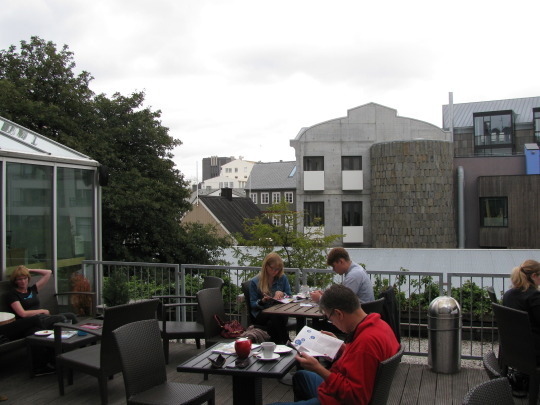 I would go there every day, then stop at the consulate (now the U.S. Embassy Reykjavík) and check out books to read. I did a lot of reading. My friend also told me about Greenland. I had read The Saga of the Greenlanders, but what he told me sparked my imagination, and I started thinking about writing a novel about the end of the Greenland settlement. I did do so, and that was published in 1988, about 10 years after I got back from Iceland. I visited Greenland in the early ‘80s. I saw that it was very different from Iceland, but Medieval Norse literature connected them in my mind, and so I modeled the style and the philosophy of the Greenlanders on that of the sagas. Also, I loved rjómaterta. I went to a certain fancy hotel and ate a slice every Friday. You have had a successful career in academia and literature, winning the Pulitzer Prize in Fiction, teaching once for the prestigious creative writing program at the University of Iowa, and also at Iowa State University, and being elected to the American Academy of Arts and Letters. You now teach in the Creative Writing Program at the University of California at Riverside. How did your stay in Iceland shape you into the writer you are today? The American consulate had a very good library, so I read a lot of books—like War and Peace and The Grapes of Wrath—that I had never read before. Even though I did socialize and go to concerts and have friends, there was plenty of time to read, especially late at night. I caught up on novels I had missed earlier when I was busy translating archaic texts in school. I loved them, and they cemented my interest in the novel as a form. While I was there, I did my assignments for my course in Icelandic, but I also wrote a great deal, though none of that has been published. It was good practice and gave me good habits. Since I did a lot of walking, there was plenty of time to ponder various ideas. Describe your interactions with Icelanders. What do you miss most about the people and culture of Iceland? I found Icelanders friendly and easy to get along with, but I was surprised at a few things. At the end of my stay, a man who was planning to go to the states asked me to help him with his English, so we had a few sessions. His English was pretty good, but I had to show him how to lower his voice and not stand too close to the people he was talking to. I also witnessed an amusing exchange at the market, where two Icelandic women were trying to figure out what celery was. In the dormitory at the university, the students could be a little rowdy on party nights but were in general very friendly. I thought Icelanders were very straightforward and smart. I enjoyed talking to them and being around them. Name some of your favorite books by Icelandic authors. In your view, which book is a must-read for anyone considering a trip to Iceland? I first read Halldór Laxness in Iceland. Independent People is one of my favorite books of all time and has been very inspiring to me. That would be the book I would tell people to read. But any other Laxness book would be terrific, too. And, of course, the Sagas, especially Laxdæla Saga, which is less focused on a single person than Njál’s Saga. I was quite fond of the main character of Gisli’s Saga, who seemed less rough and more sympathetic than some of the other saga heroes. Tell us about your latest works, the Last Hundred Years trilogy. In your own words, what is the series about, and why did you decide to write an American family saga that extends an entire century? The first idea that came to me was the title of the trilogy—the Last Hundred Years. No one can be certain at this point whether the last hundred years of civilization will turn out to be a success or a failure. I think it could go either way. There are good things about the modern era, but also quite frightening and depressing things, like nuclear warfare, climate change, the rise of the power of corporations and banks, and the splintering of the political landscape in America and the Middle East. I was also interested in the formal experiment of having the books progress year by year, and fitting the plots of the characters’ lives into those years rather than doing it the usual way. I enjoyed that part a great deal. I did put in a Norse character, Andy, from a town in Iowa founded by Norwegian settled in the 19th century. That enabled me to put in some bits from the sagas and from other Scandinavian stories. She is one of my favorite characters. Another character, Henry, is my alternative self—the one who became a medievalist rather than a writer. You are also venturing again into children’s literature with the upcoming book 20 Yawns. How did this project come about, and what were some of the challenges writing for such a young audience? I have written five YA novels about an 11-13-year-old girl who lives on a horse ranch in California. These are based on a horse training method that was invented near where I now live and has transformed the way horses are trained in the US—much more cooperative and less confrontational. 20 Yawns is a toddler book. I came up with the idea and wrote the text, but the artist came up with the art, which I think is the main pleasure of the book. I hope it sells and that people like it. Iceland transformed Jane Smiley’s writing. Will it transform yours? Sign up for the 2017 Iceland Writers Retreat and discover the wonders of Iceland’s inspiring literary culture for yourself. The secret is out: Iceland is now a popular travel destination for professional and aspiring writers. Whether it’s the nation’s centuries-old stories about Vikings and their rapacious exploits or the compassionate, satirical novels of Halldór Laxness—Iceland’s Nobel laureate in literature—this small Nordic country is a treasure trove for book buffs and word nerds around the world. Why exactly is Iceland becoming such a haven for the book-obsessed and the poetically-inclined? The Iceland Writers Retreat has compiled a list of the top 10 reasons why every budding author should come to Iceland and experience its extraordinary literary culture firsthand. 1) The Sagas. Acclaimed as masterpieces of medieval European prose and revered by many Icelanders, the Sagas are a group of histories detailing the founding and settlement of Iceland. Some experts have called these tales, which are hundreds of years old, the first great European novels, while some Icelanders believe that these texts are completely factual, describing true events that happened to real people. Regardless of their historical accuracy or inaccuracy, these ancient texts have captivated the imaginations of numerous authors throughout the ages and continue to do so to this day. 2) Almost everyone is a writer. 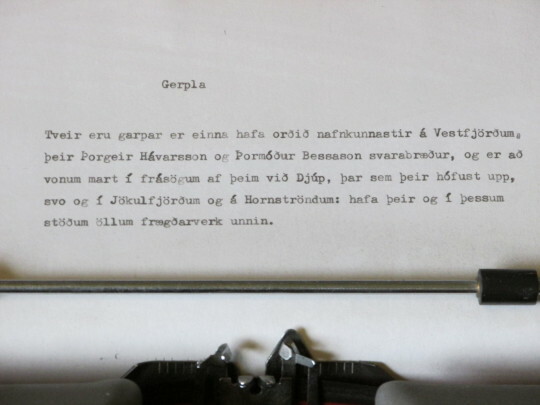 Appreciation for poetry and literature is embedded within Icelandic culture, and many Icelanders will publish a book at some point in their lifetime. The Icelandic government also awards competitive grants and stipends to writers annually, making the dream of working a full-time professional writer a reality for some. 3) The Otherworldly Landscapes. Icelandic nature is breathtaking, beautiful, and inspiring. The island nation has earned the moniker of “The Land of Fire and Ice” for the stark contrast between its volcanic landscapes and its sparkling glacial formations. With a small population of only 320,000, Iceland is also one of the few places left on earth where one can drive out into the wilderness and be truly alone. The countryside is a wonderful place to clear one’s head and brainstorm ideas for a new novel. 4) Icelanders. Though some might seem shy and stoic at first, Icelanders are generally friendly and approachable people with interesting stories to tell. When visiting Iceland, sit in a coffee shop or grab a drink at a local bar, and if you strike up a conversation with one of the locals—you’ll find that they are some of nicest people you’ll ever meet. Who knows? Maybe one of their personal stories or their vast knowledge of Icelandic folklore will inspire your next masterpiece. 5) Coffee Shop Culture. Reykjavík—Iceland’s capital city—is a coffee lover’s dream. The bustling mini-metropolis is full of unique coffee shops, each with their own personalities and patrons. Starbucks has been knocking on the nation’s door for a while now, but Icelanders adamantly refuse to let the giant coffee chain in—and writers who love frequenting coffee shops with character, charm, and a good cup of joe certainly benefit from it. 6) The Annual Book Flood! Every year around Christmastime, Icelanders celebrate the annual jólabókaflóð, or Christmas Book Flood. During this exciting time of year, publishers release hundreds of new titles on the market, and Icelandic authors give readings at bookstores and literary museums across the city to advertise their latest masterpiece. This tradition celebrates literacy and puts a much-deserved spotlight on literature for several months of the year. 7) A Network of Libraries. 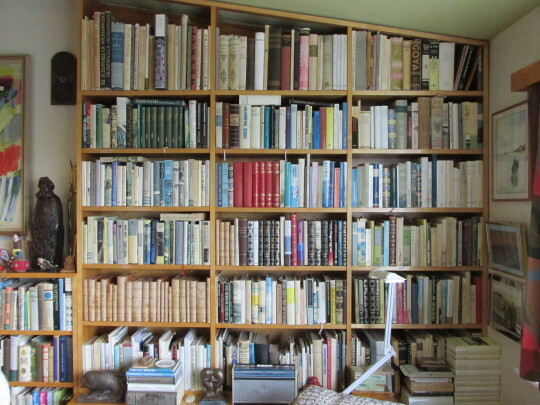 Libraries are not in short supply around Iceland. In fact, Iceland’s capital city Reykjavík is full of libraries, big and small, so residents have cheap and ready access to the printed word, no matter where they live. Well-maintained and stocked with interesting titles from around the world, Icelandic libraries are also used as community centers that regularly host exciting educational events for all ages. 8) Love for Language. Icelanders love their language. Icelandic, a Northern Germanic language spoken by 330,000+, is the closest equivalent to Old Norse—the language of the Vikings—still in use to this day. Icelanders are so protective of their mother tongue that they established a “naming committee” that forbids citizens from giving their children names that don’t adhere to the language’s strict grammatical rules. For foreigners, learning Icelandic presents a formidable challenge, with words like Eyjafjallajökull and þjóðminjasafnið baffling many. 9) Professional Networking is a Cinch. The advantage of being a writer in a small country like Iceland is that professional networking is incredibly simple. Everyone knows someone who knows someone who can help bring your writing project to fruition. If you move to Iceland, chances are you’ll regularly run into a famous author in the grocery store or walking on the street—you might be smitten and starstruck but, to the locals, it’s no big deal! 10) Halldór Laxness. Awarded literature’s top honor in 1955, Halldór Laxness is the first and only Icelander (to date) to win a Nobel Prize. His novels have been translated into numerous languages, including English, and they remain poignant and relevant years after they were first published. Perhaps his most beloved book, Independent People, a novel about a stubborn farmer who clings to his independence even as his life and family crumble around him, has been lauded by critics across the world and is a must-read for every book lover who visits Iceland. The 4th annual Iceland Writers Retreat will be held in Reykjavik from April 5-9, 2017. The Icelandic Literature Center promotes Icelandic literature, both within Iceland and abroad. Every year they come up with a list of books to promote, showcasing the vast creativity, talent, breadth of style, and genre that Iceland has to offer. Here are few of this year’s featured writers and their books. Gerður Kristný has multiple awards under her belt, including the Icelandic Booksellers’ Literary Prize and the Nordic Council Literature Prize 2012. She writes poetry, novels, and short stories. Her book on this list is Dúkka, or Doll, a children’s book brimming with mystery. Auður Jónsdóttir is a highly successful Icelandic writer and winner of the Icelandic Booksellers’ Literary Prize 2015, and has received several nominations for other awards. She was also a featured author at the 2016 Iceland Writers Retreat. Her book Stóri skjálfti, or Grand Mal, is a novel about a woman who suffers from epilepsy and her fragmented memory. Arnaldur Indriðason is a crime writer, and has won the CWA Gold Dagger Award as well as the Nordic Crime Novel Prize two years in a row. Þýska húsið, or The Travelling Salesman, is his 19th book. It is about two police officers who tackle a murder case in the midst of WWII. Hallgrímur Helgason has an oeuvre that spans written and visual art. His featured book Sjóveikur í München, or Seasick in Munich, is an autobiographical account of studying abroad. Click here to see the full list, and click here to go to the Icelandic Literature Center’s website.